Tailor-made for the driver who will not settle for anything less than the best, the luxury sedan class delivers peerless luxury, unrivaled style and heart-pounding performance at every turn. In a growing class, the 2017 Jaguar XE is a breath of fresh air and will go toe to toe with premier competitors. Explore the price, performance and features of the all-new Jaguar XE in this 2017 Jaguar XE vs 2017 Audi A4 comparison that highlights the revolutionary luxury sedan. Available in four trim levels - XE, Premium, Prestige and R-Sport - the Jaguar XE can be tailored to fit your specifications. A wealth of standard features make the Jaguar XE stand out from the competition and include an eight-inch InControl touchscreen interface, dual-zone automatic climate control, push-button start, a power moonroof and premium interior. When you pair that level of technology, comfort and convenience with a bold exterior style built on a lightweight, performance-tuned platform, the Jaguar XE checks all the boxes. What is the right price for unrivaled performance and peerless luxury? 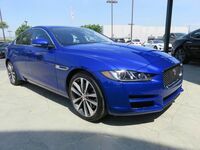 With a base MSRP of just $34,900, the Jaguar XE comes in at an affordable price point that is matched by the Audi A4. 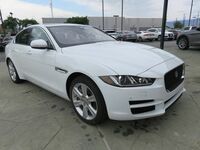 Available with dual engine options in standard configurations - a fuel-efficient turbodiesel and a potent turbocharged four-cylinder - the standard Jaguar XE grade provides a level of versatility and affordability that the Audi A4 cannot match. Power and performance are key aspects of this 2017 Jaguar XE vs 2017 Audi A4 comparison that will have a significant impact on your car-buying decision. Jaguar XE editions set the bar high with three available engine options. Base trim levels can be equipped with a 240-horsepower 2.0-liter turbocharged four-cylinder engine or a 2.0-liter turbodiesel four-cylinder. Paired with a standard eight-speed automatic transmission, the 2.0-liter turbo will make 21 mpg in the city and 30 mpg on the highway. Diesel variants will make an incredible 32 mpg in the city and 42 mpg on the highway. Are you looking for a way to amp up the power? Equipped with a 340-horsepower 3.0-liter supercharged V-6 under the hood, the 2017 Jaguar XE will leave the competition lagging behind. Available with a performance-oriented all-wheel drive system, the supercharged Jaguar XE will vault from zero to 60 mph in just 5.1 seconds. All-wheel drive is available with diesel and six-cylinder variants. Base Audi A4 editions feature an impressive 252-horsepower 2.0-liter turbocharged four-cylinder power platform mated to a seven-speed dual-clutch automatic transmission that will achieve 25 mpg in the city and 33 mpg on the highway. Drivers who value fuel economy can opt for the Audi A4 Ultra, which employs a modified 190-horsepower 2.0-liter turbo that will make 27 mpg in the city and 37 mpg on the highway. Armed with a more impressive arsenal of powertrains that provide explosive power and efficient fuel-economy ratings, the Jaguar XE stands out from the competition. 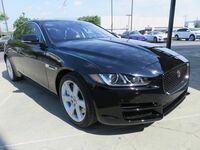 Visit Barrett Jaguar today and get behind the wheel of the luxurious and performance-tuned 2017 Jaguar XE in San Antonio!